Now that I have a permanent kitchen sidekick. M was in full-blown cooking mode and ready to cook her little heart out. She loved learning how to measure out the ingredients! This side dish was quick, easy, and delicious. It’s so versatile and can go with just about anything! In a medium saucepan, melt the butter over medium heat. Add the orzo and saute for a few minutes just until it’s lightly toasted and starts to brown. Add the broth and cover and simmer for 20 minutes, until all the broth has been absorbed. Remove from the heat, add the Parmesan and lemon juice. Stir until all the cheese has melted. Add salt & pepper to taste. I love orzo! 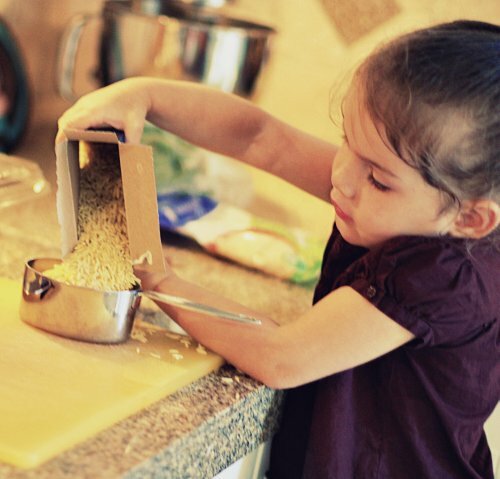 I can’t wait till someday I have a little kitchen helper like M! This looks great and I love how simple it is! Looks delicious…will have to try this. 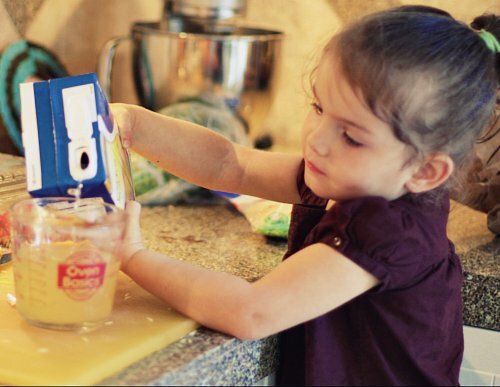 Love your little helper….soooo cute! I can’t believe how big M is getting! My boys have been away for almost 2 weeks and I’m so missing my side kicks in the kitchen! 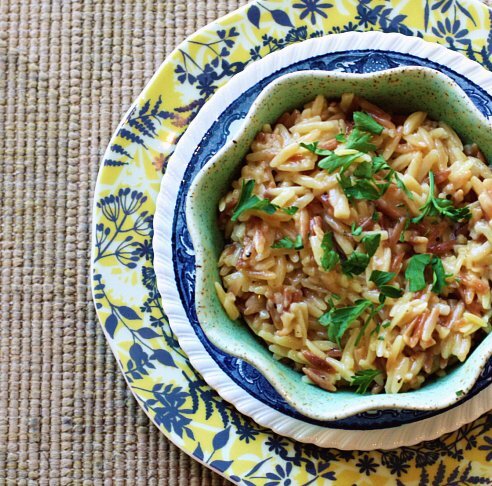 The orzo looks and sounds amazing! I do a similar flavor in risotto since orzo is not allowed here. YUM! 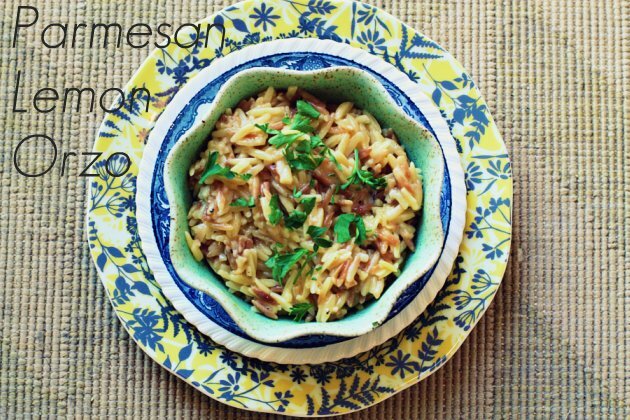 What is it about lemon and orzo? M is so big! !